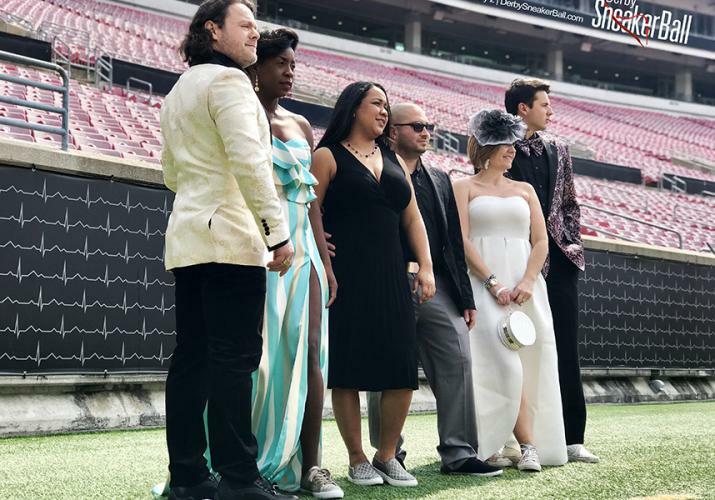 On May 2, 2019 as part of the Derby Diversity & Business Summit (DDBS), the 2nd annual Derby Sneaker Ball provides a space where pairing your finest kicks or tennis shoes and favorite ball gown or sports coat could win you the Who Wore It Best Walk Off in Cardinal Stadium’s PNC Club. Attendees include athletes, top diverse business owners, and Fortune 500 leaders in supplier diversity. Guests will enjoy a live performance by LINKIN BRIDGE, a Sneaker Art Installation and Sneaker Photo Studio, Signature Cocktail and Mocktail, bites and sweets, the opportunity to participate in a Who Wore It Best Walk Off including a prize by Peach Soul, DJ and Dancing throughout the evening, Poetry Performances, and the DDBS Awards Ceremony. A percentage of the proceeds will be donated to Chestnut Street Family YMCA Child Development Center program. Sponsors for the Derby Sneaker Ball include Real 93.1 The Beat of Louisville, UofL Athletics, TOPS Louisville, The Mocktail Project, Bacardi, Today’s Woman, Blank2Branded, and AFM Threads. DDBS and the Derby Sneaker Ball are excited to announce a partnership with The Mocktail Project to create a signature “Race for Inclusion” mocktail that will be served throughout DDBS and the Derby Sneaker Ball so that both people who do and do not imbibe can all have a great time. Held during the Derby Sneaker Ball, the DDBS Awards will recognize individuals and corporations that exemplify outstanding excellence and achievement in improving diversity for People, Processes or Products & Services that have had a positive impact on the workforce, supply chain or community and quality of life! “We are so proud of our community and the statement being made to demonstrate how important diversity and inclusion is to Louisville, Kentucky,” said Tawana Bain, founder of the Derby Diversity & Business Summit. The night will also include Lifetime Achievement awards recognizing Allen Cawley and Ben Richmond, who each hold the title of Principal/COO/Head Coach of SOAR - a professional development curriculum to meet major corporations’ need for African American men in leadership positions within their organizations and it’s still going strong. As of 2018, 75% of the program’s 85 graduates had been promoted or taken on more responsibility in their professional life. They form lifelong connections with each other and among their coaches and the pool of 24 mentors who work with SOAR. The program has spread, planting seeds of leadership among professionals in Louisville, Lexington, Cincinnati, Jasper, Indiana, and within corporations like Toyota, Ford, UPS, and many more.